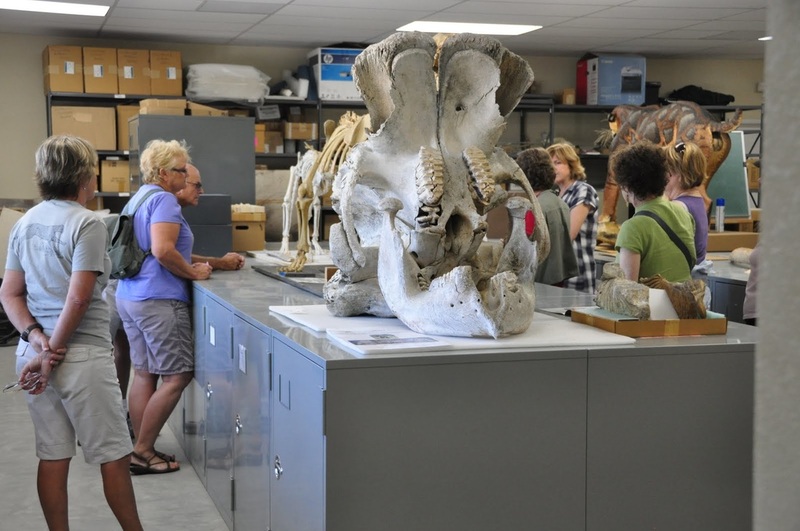 The Stout Research Center Laboratory and Collection Hall is open to the public as part of select community and ABDSP events. Our theme for 2018 is "Preparation: Fossils we are working on". Our preparators will be on hand to show you how we prepare the fossil bones, shells, tracks and plants. On display will be our finds from ABDSP including mammoth, giant tortoise, horse, camel and many more. Visit us after the Borrego Days Parade on Saturday and on Sunday morning! Paleontology and geology lectures, fossil curation and laboratory preparation workshops,and field surveys are held each Friday, November thru May. Join us at the Anza-Borrego Desert State Park Visitor's Center from 9am to 4pm. The first lecture will be an Introduction to the Anza-Borrego Desert. Our Monthly Certification Class lectures are open to the public. Check the listing below for the location of the talk. ​ The Island of California: Is there a scientific explanation for the 17th century myth? Visit the ABF website for more information. ​A Field trip is planned for Saturday, March 9. The Anza-Borrego Desert State Park Visitor's Center is at the end of Palm Canyon Drive in Borrego Springs.